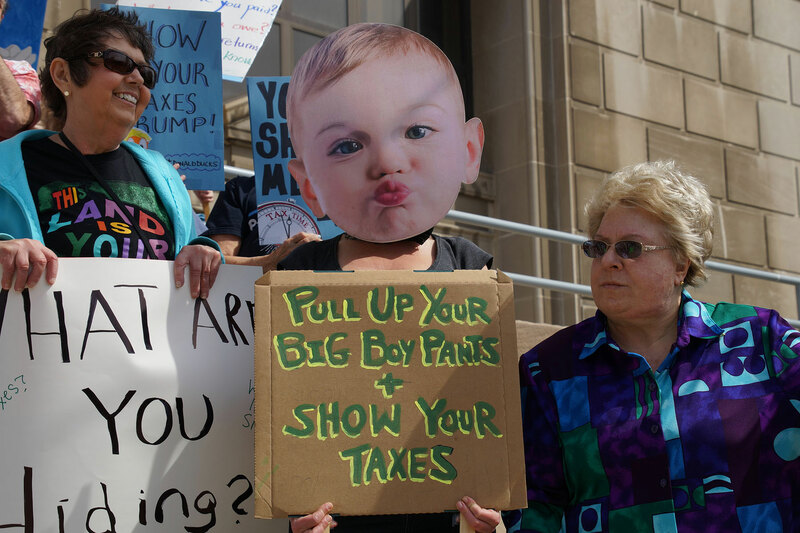 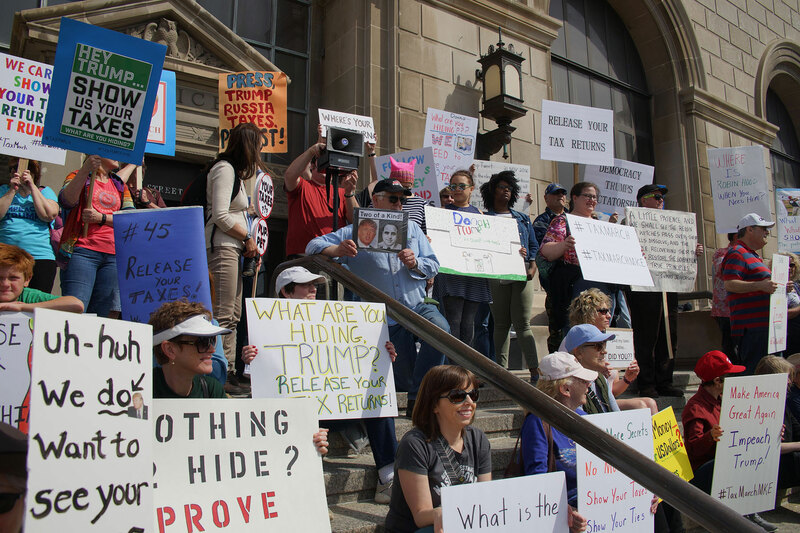 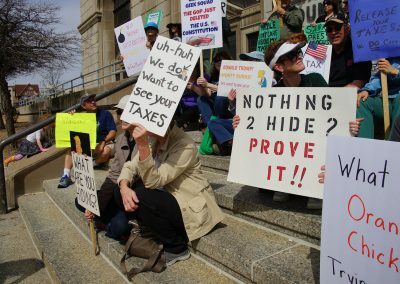 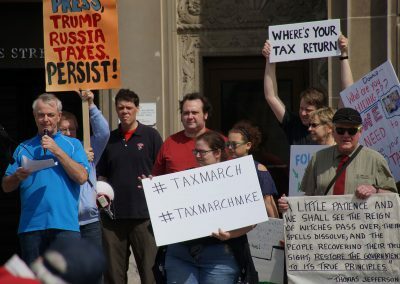 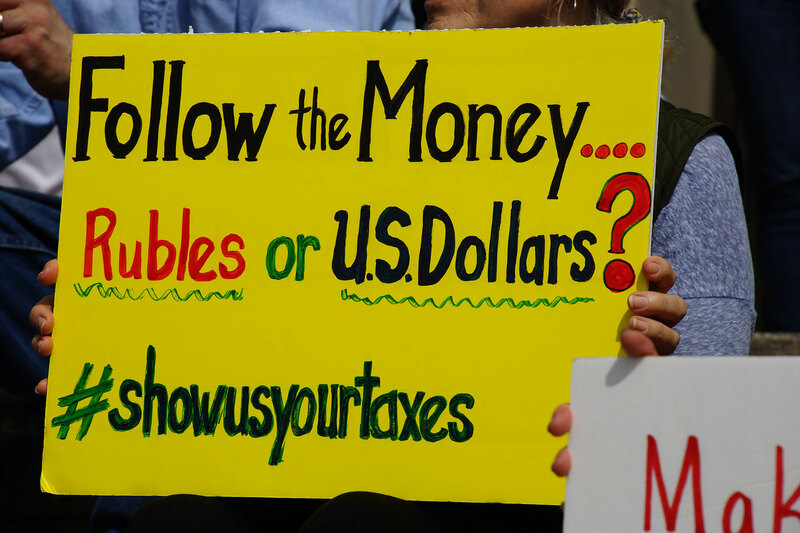 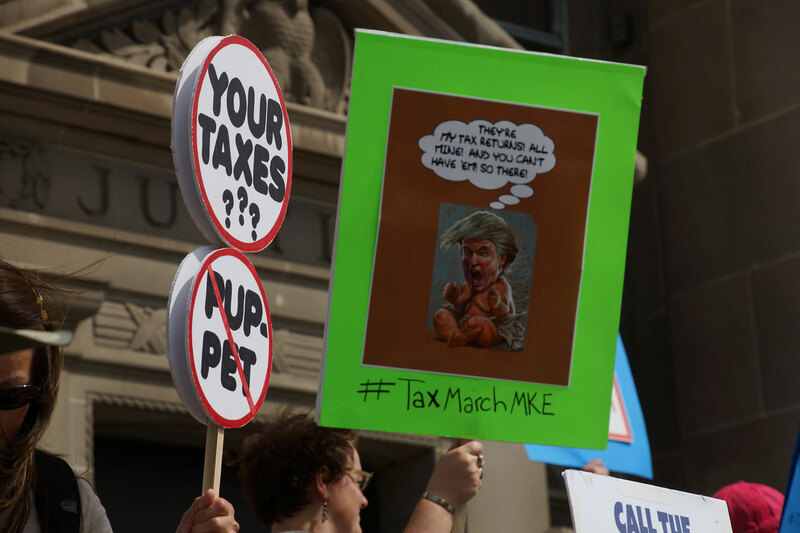 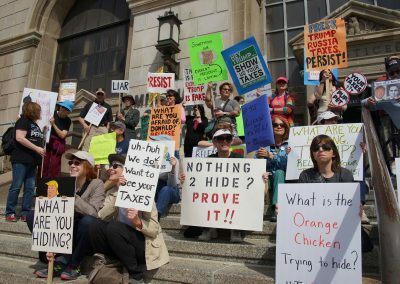 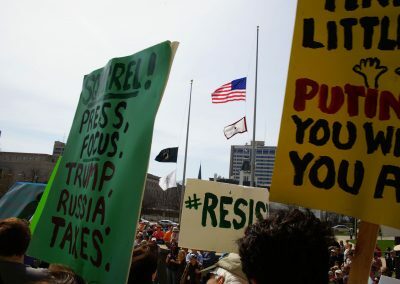 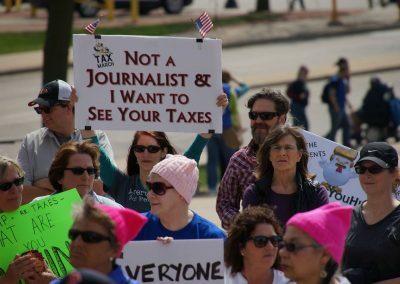 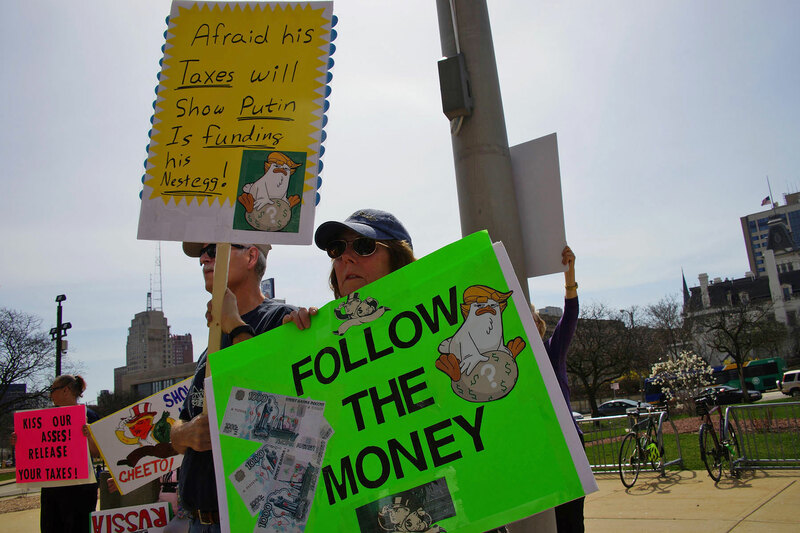 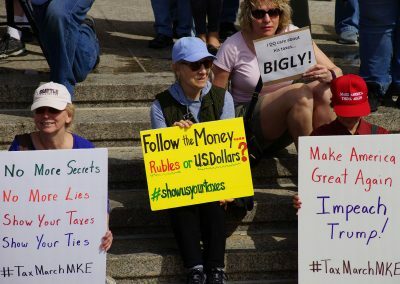 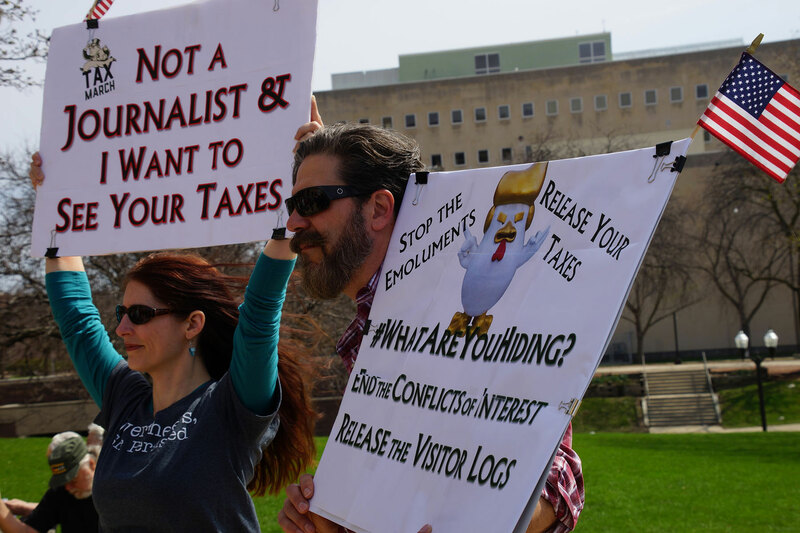 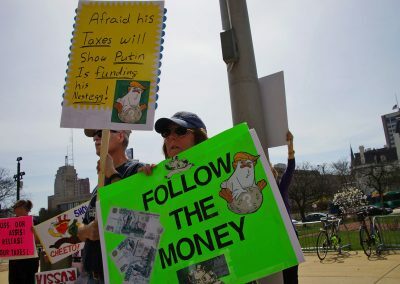 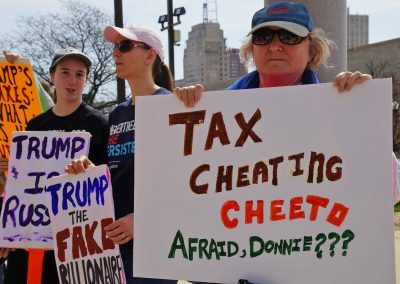 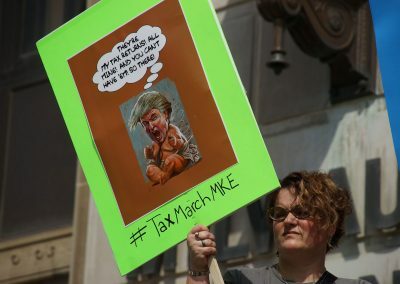 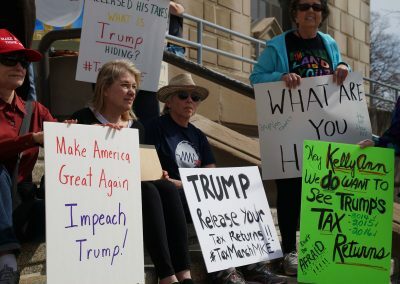 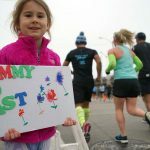 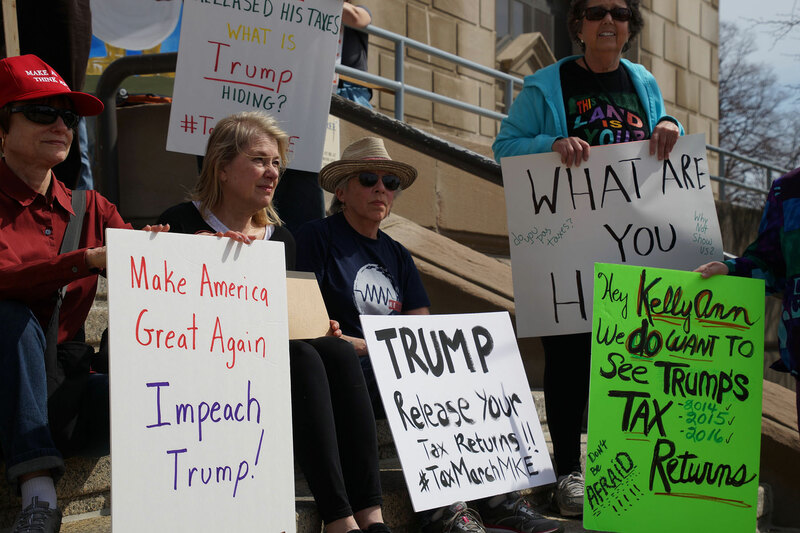 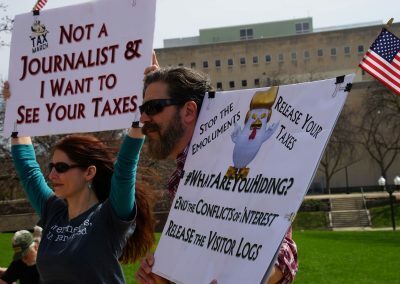 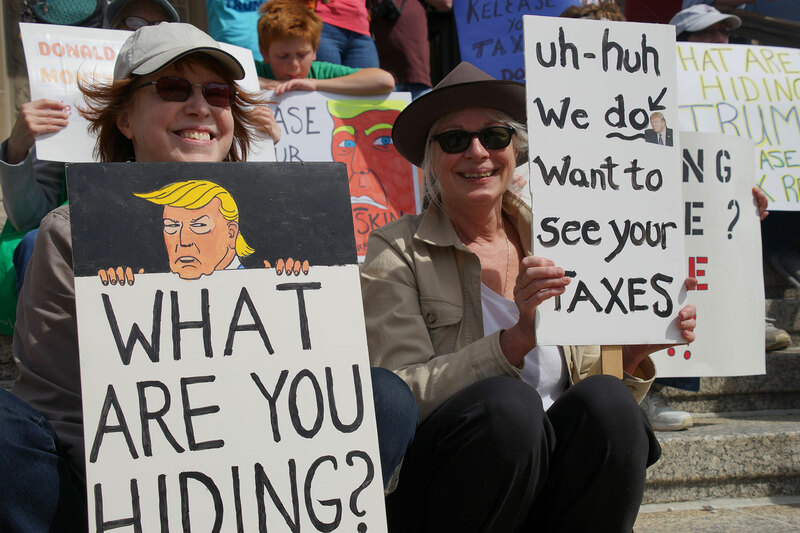 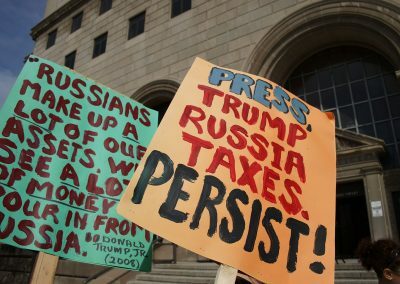 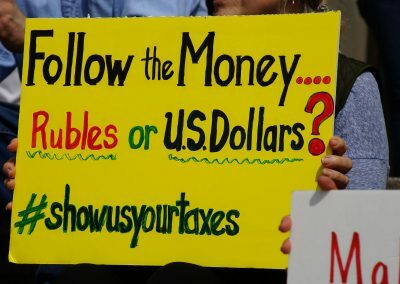 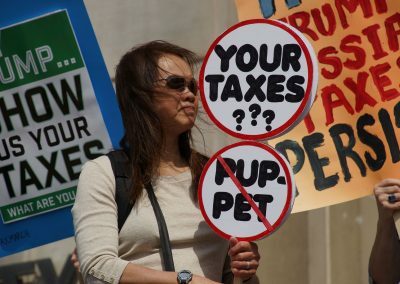 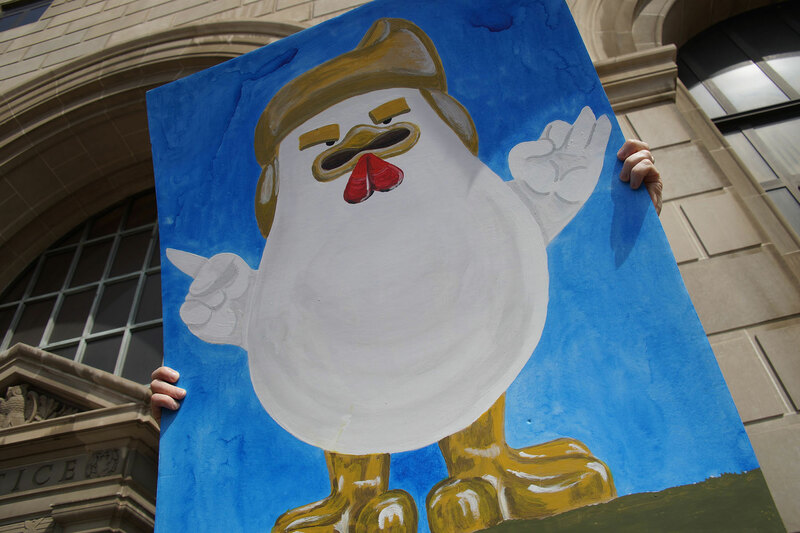 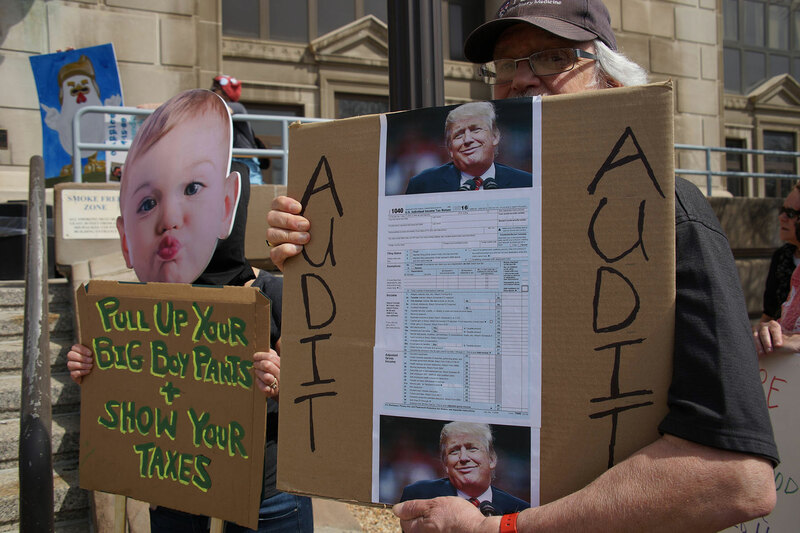 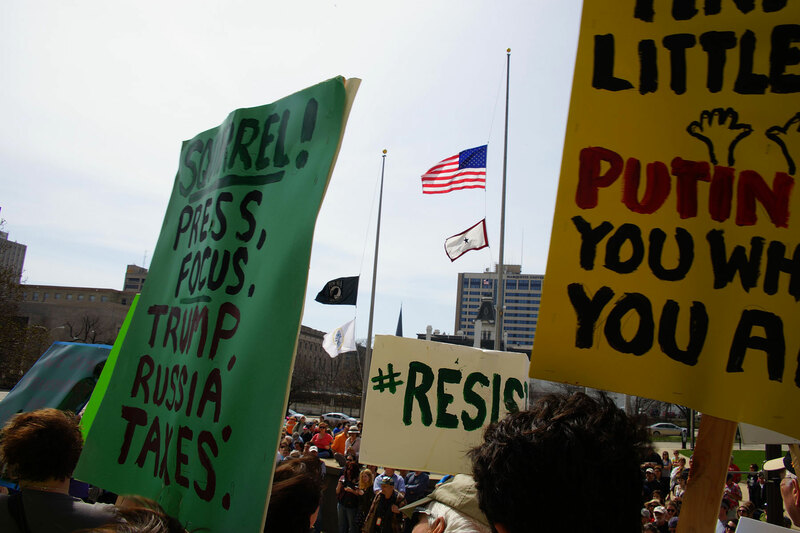 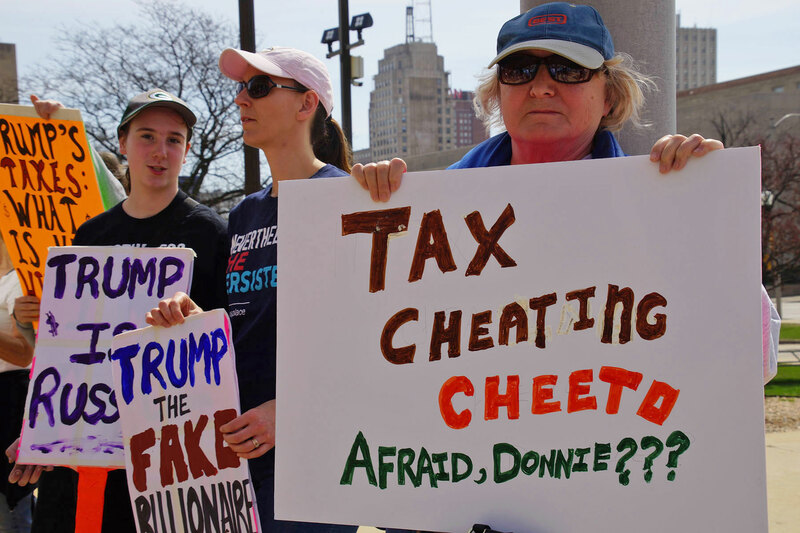 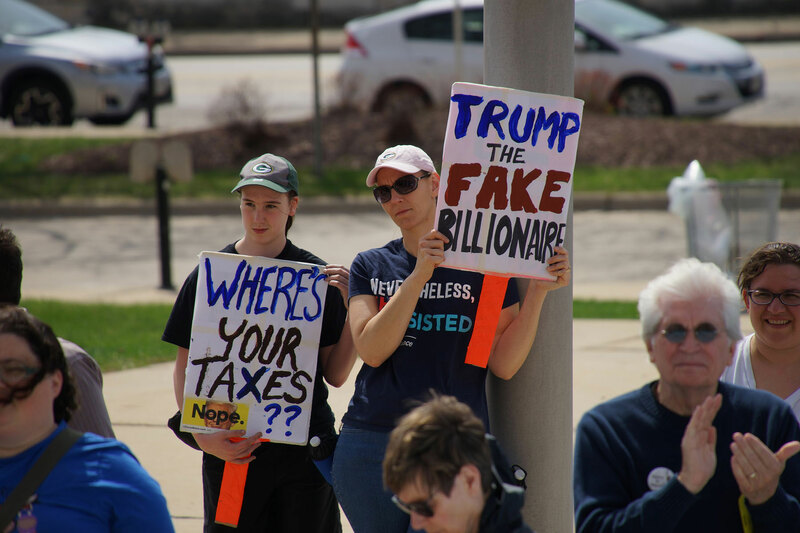 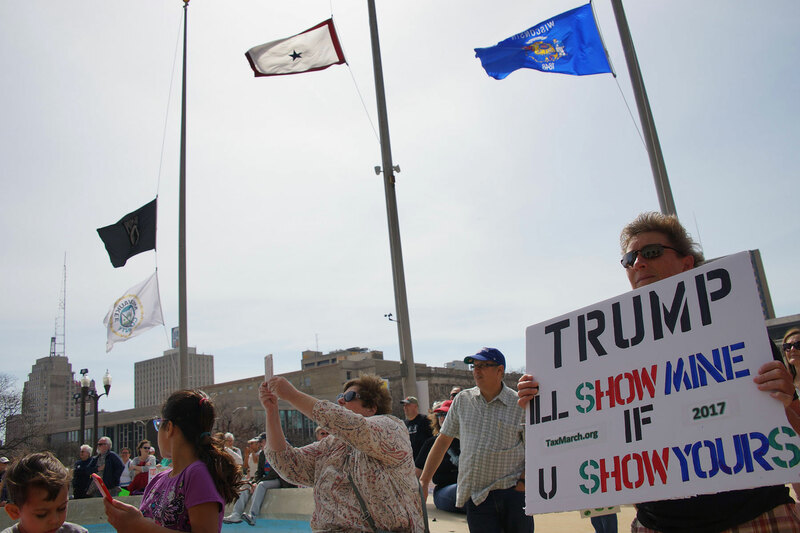 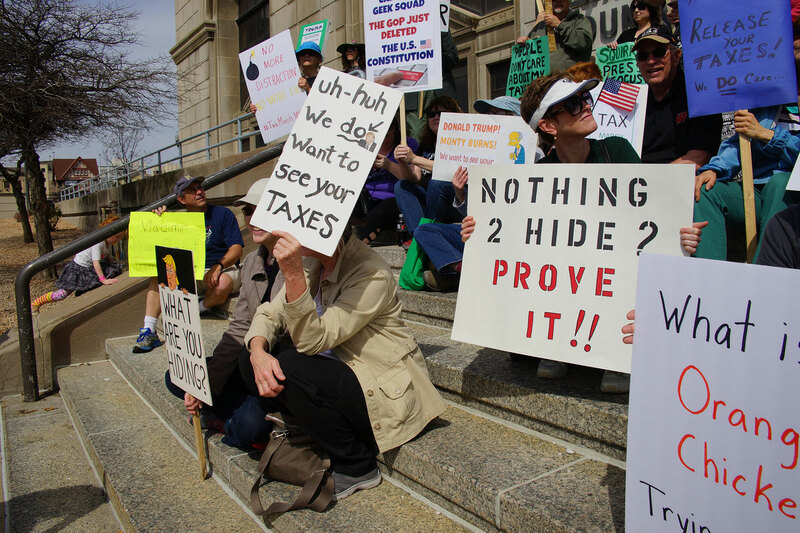 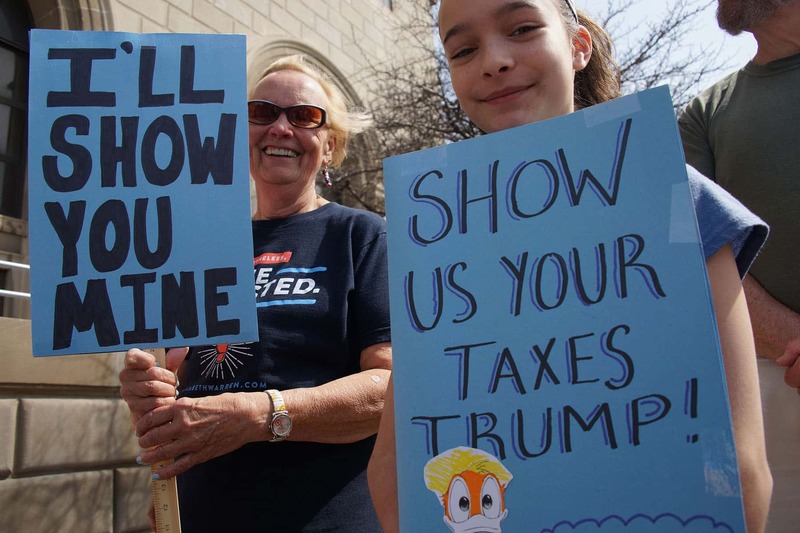 On Tax Day, April 15, demonstrators in Milwaukee joined 150 cities across America and abroad in marches demanding that President Trump release his tax returns as promised. 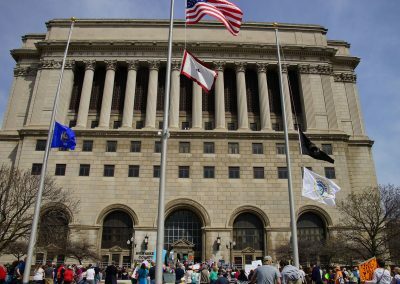 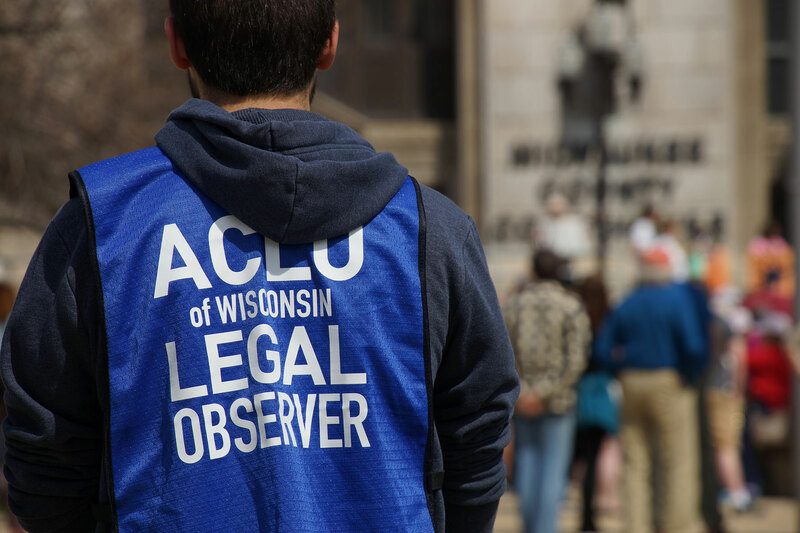 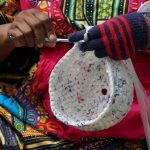 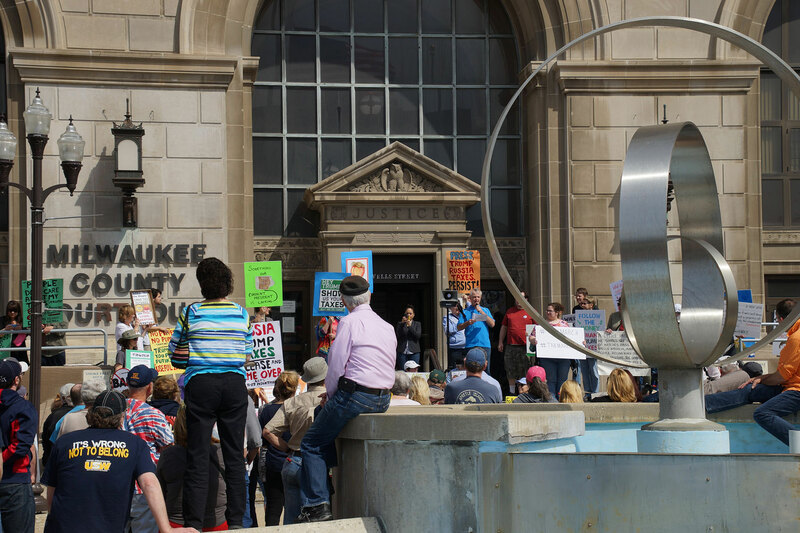 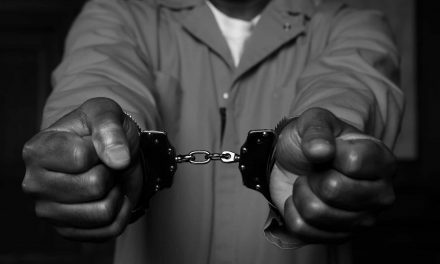 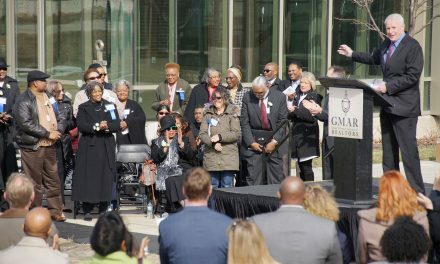 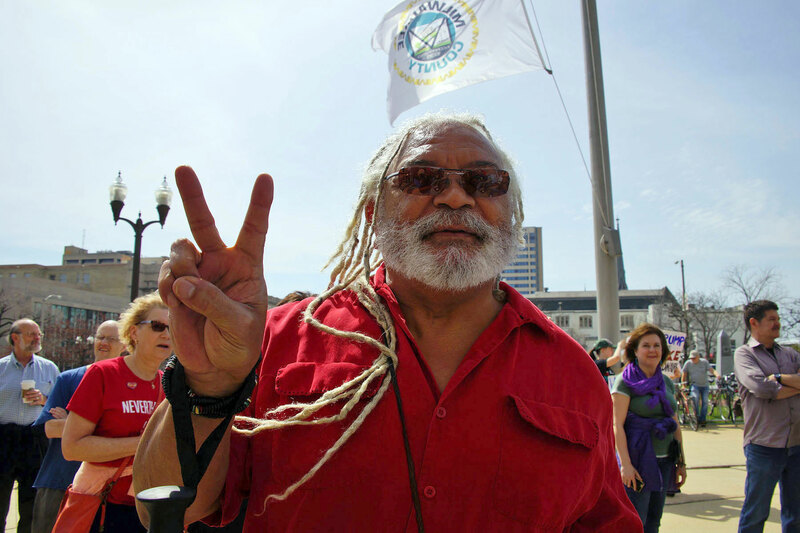 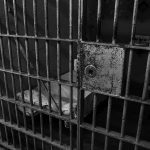 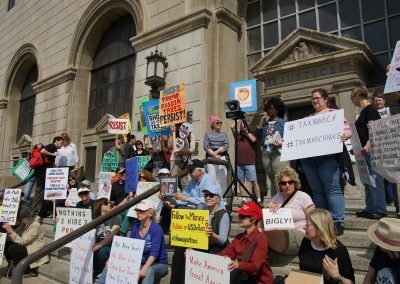 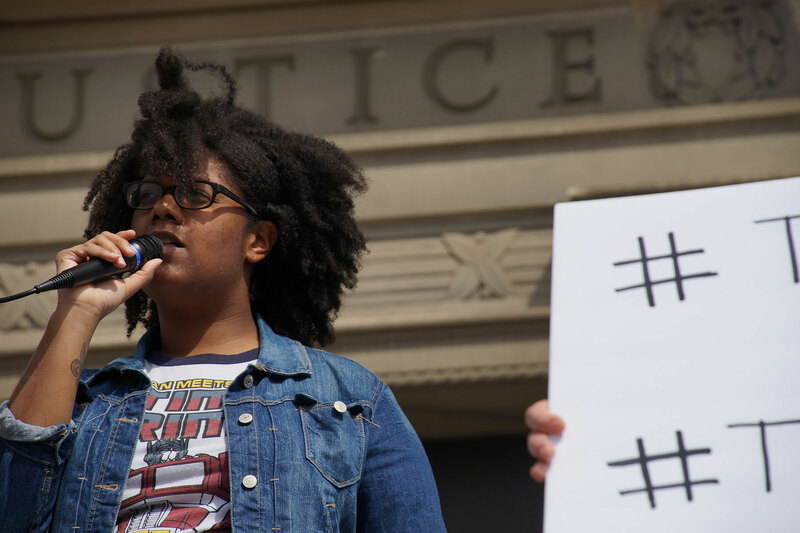 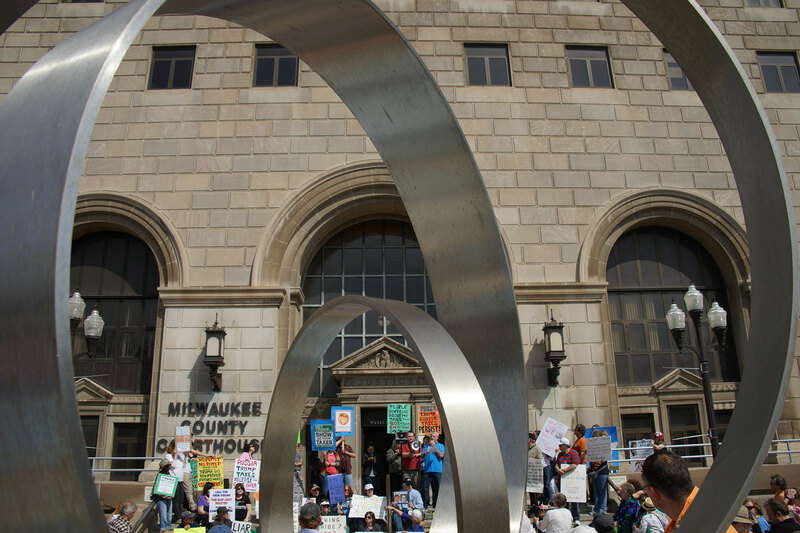 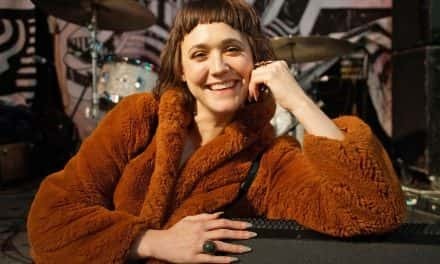 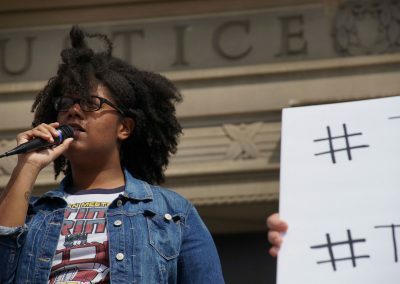 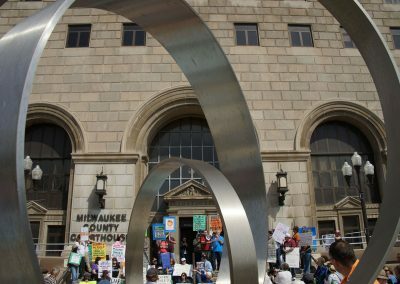 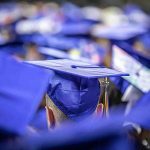 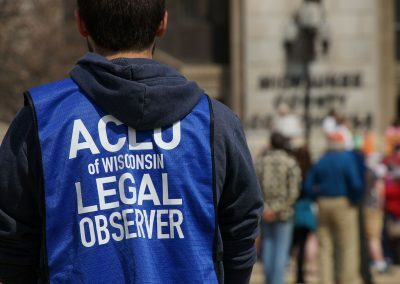 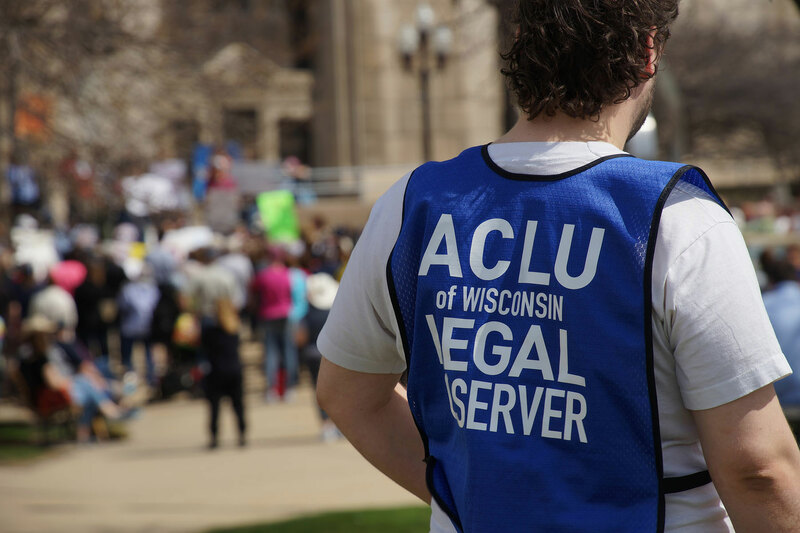 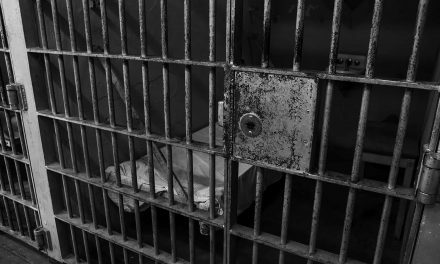 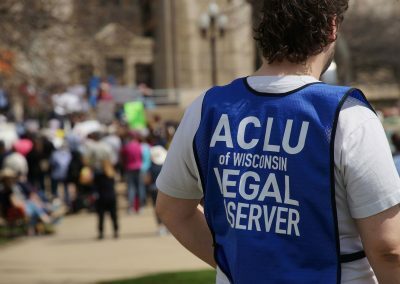 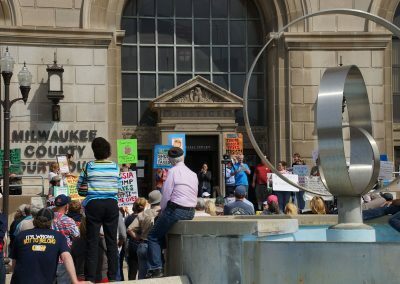 The rally began at the steps of the Milwaukee County Court House, and event organizers said that the march was about transparency and social justice. 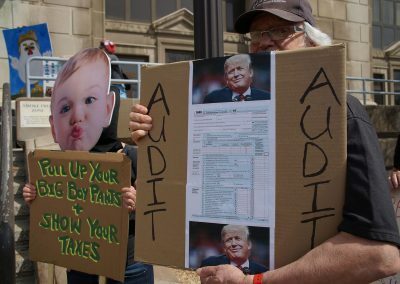 “On the campaign trail, Donald Trump lied by saying he would release his tax returns upon the completion of the IRS audit. 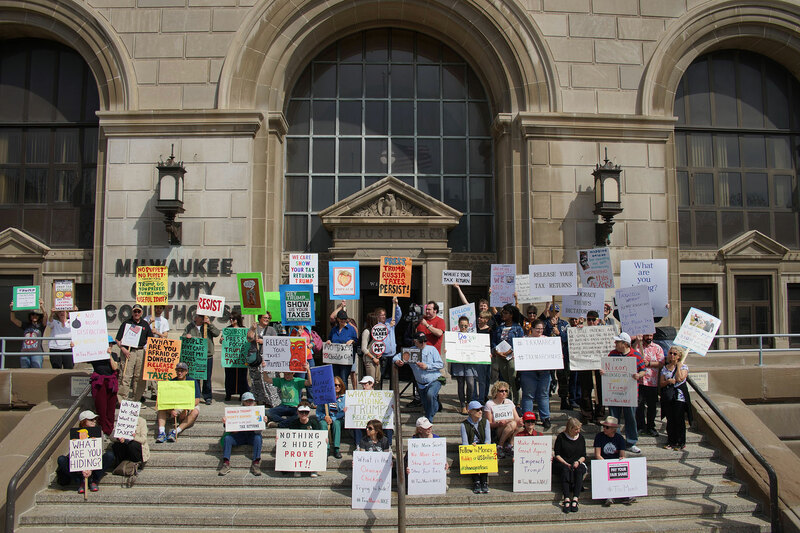 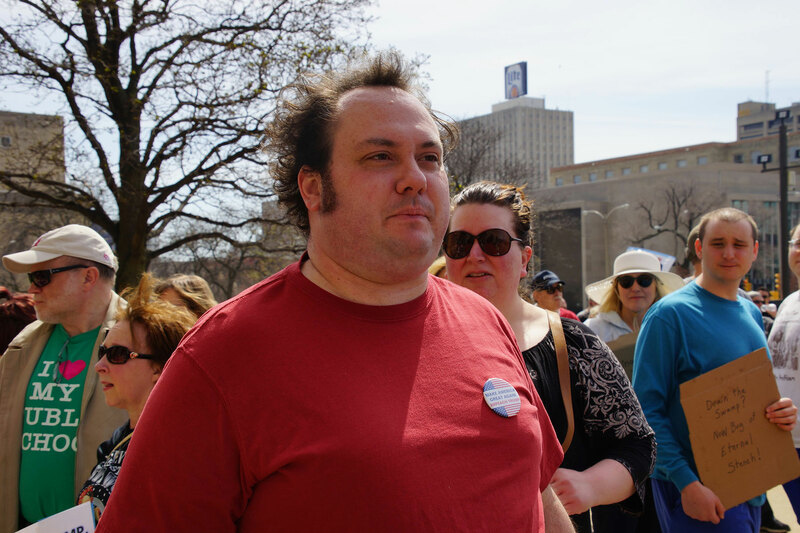 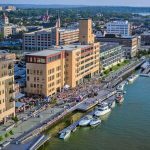 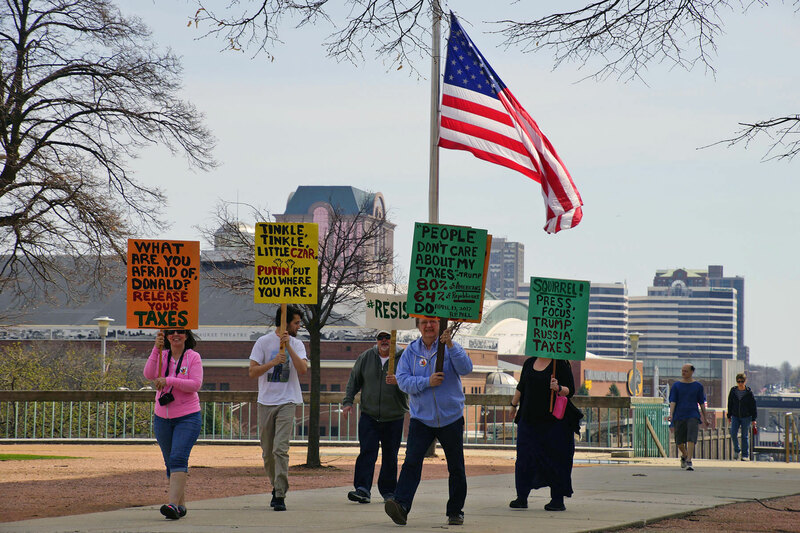 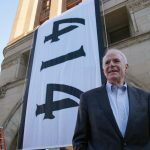 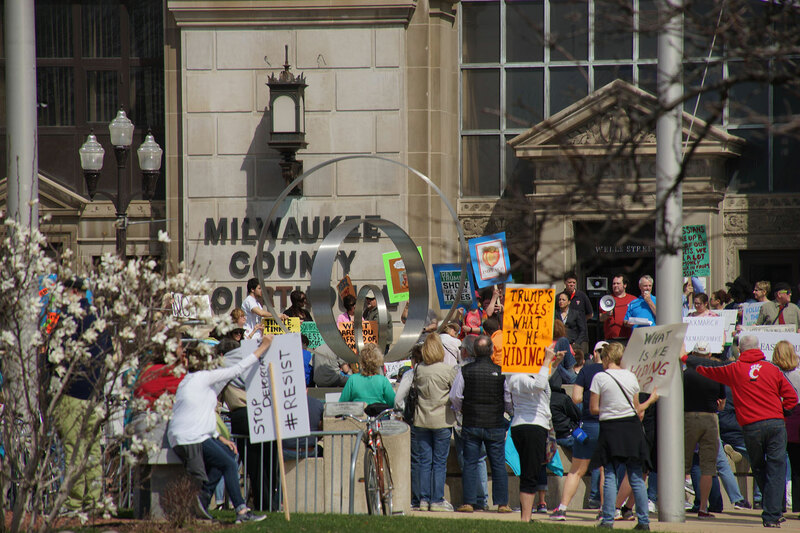 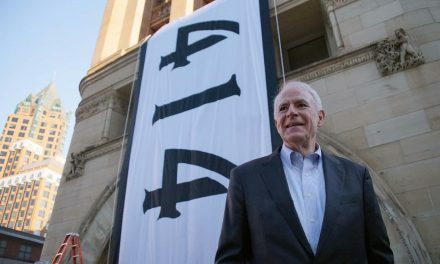 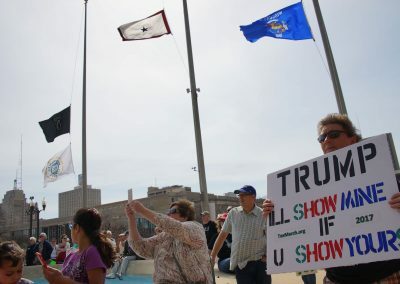 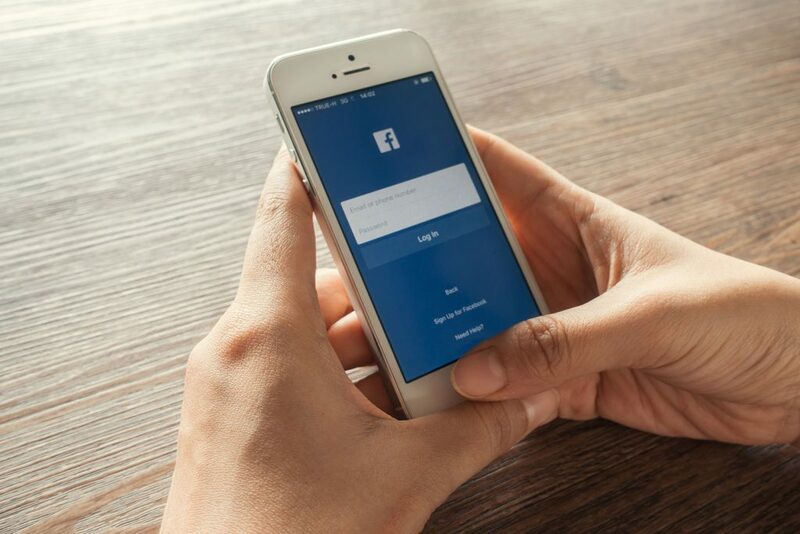 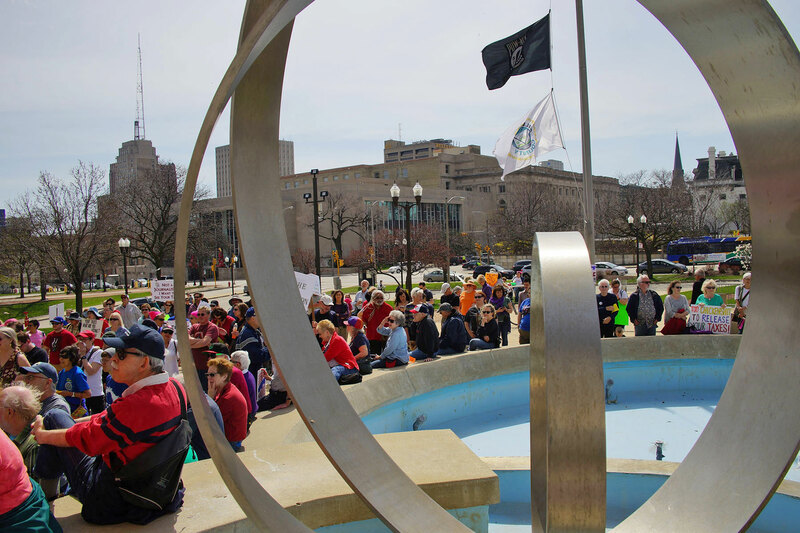 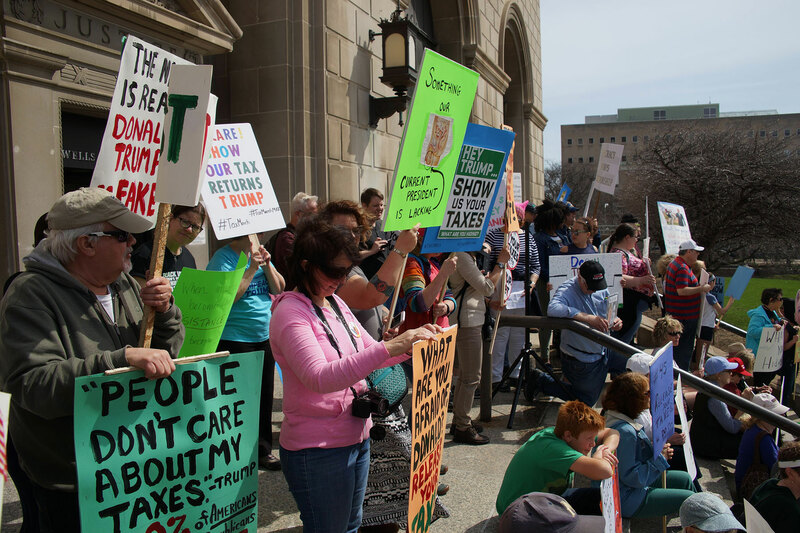 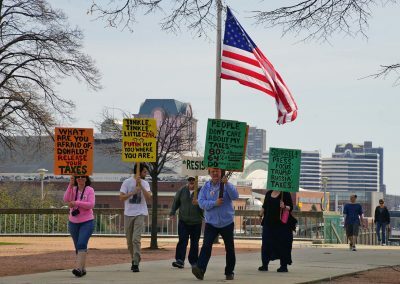 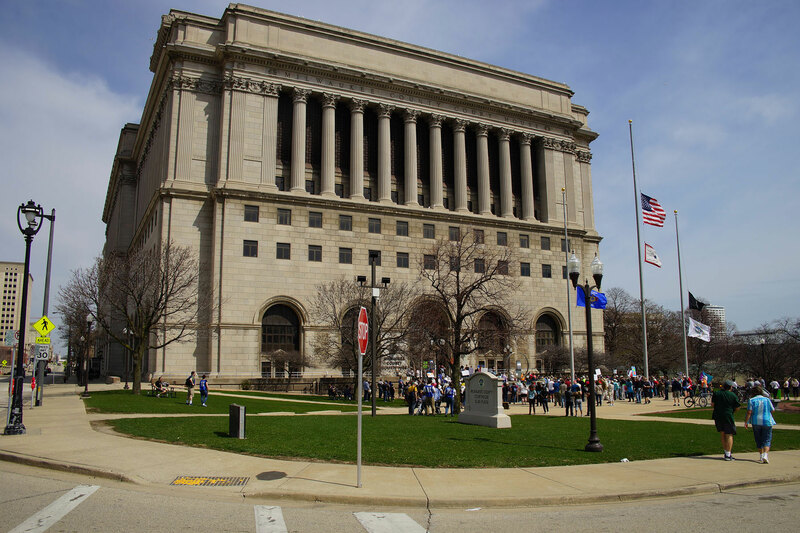 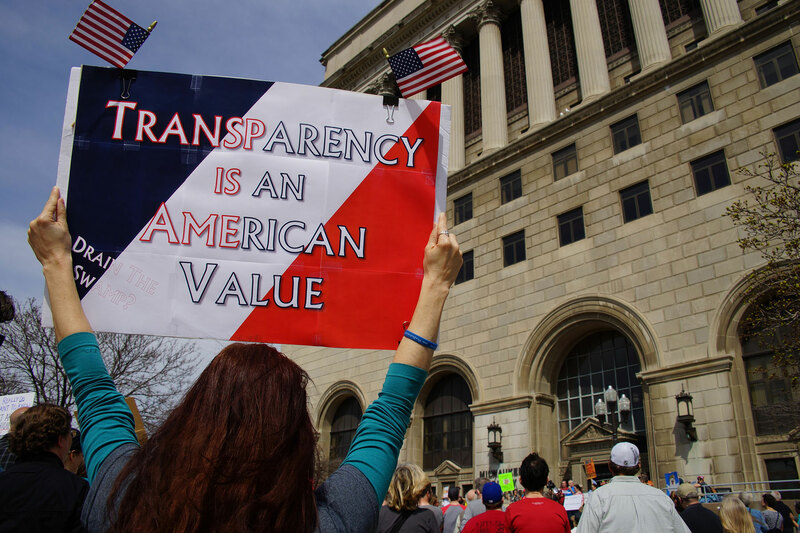 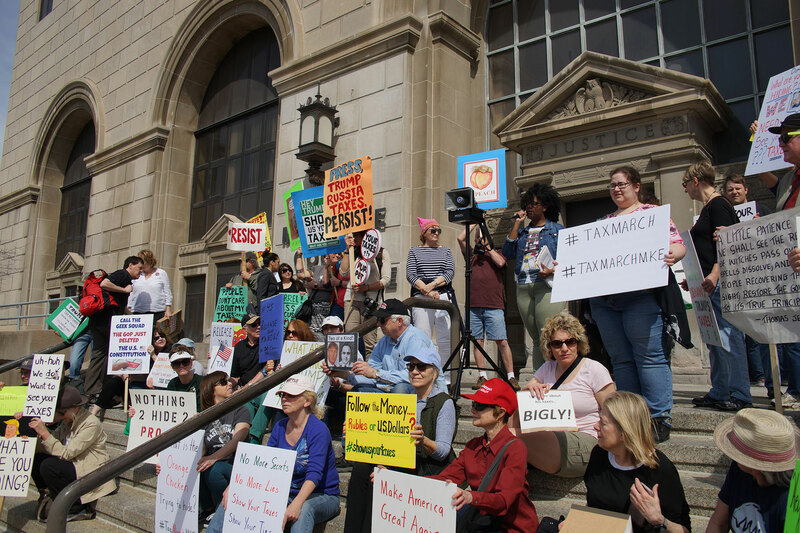 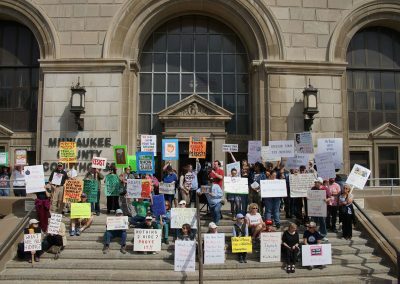 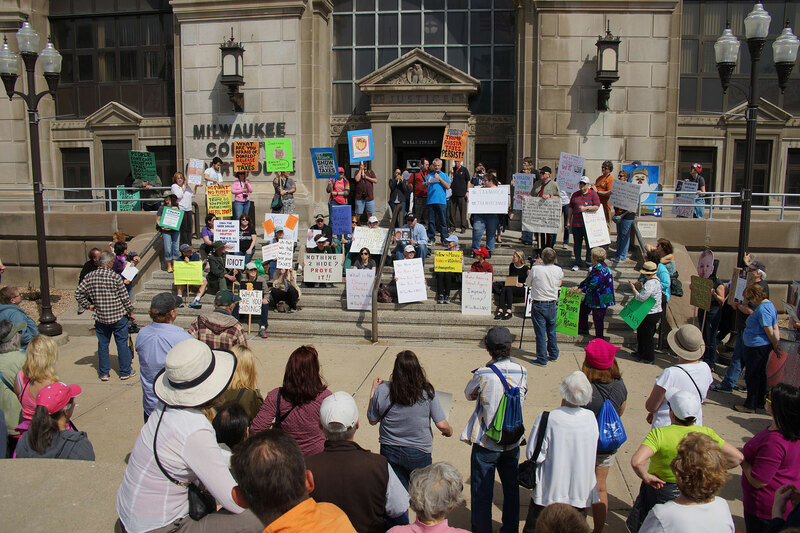 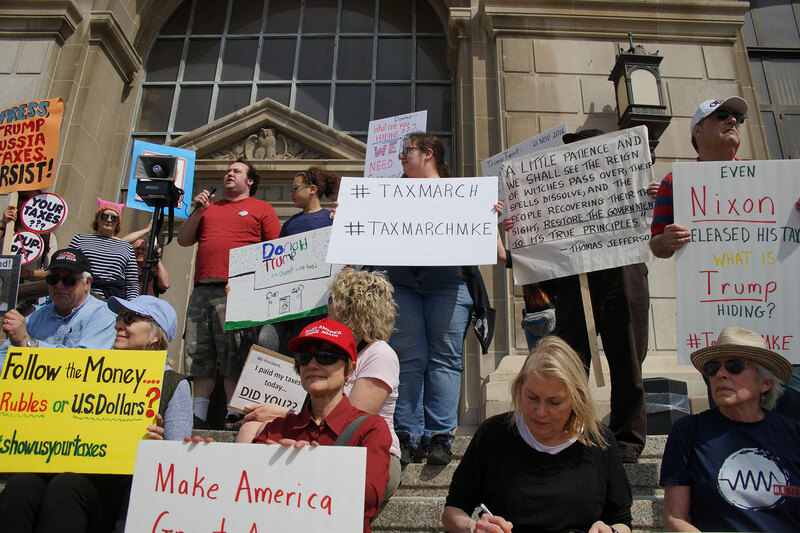 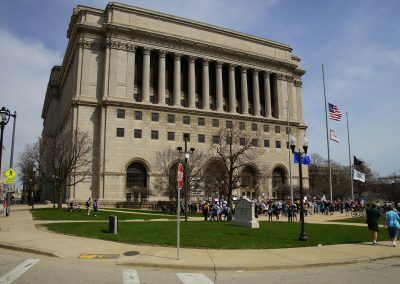 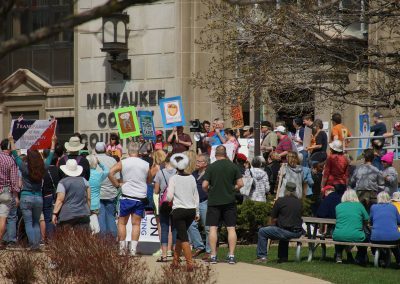 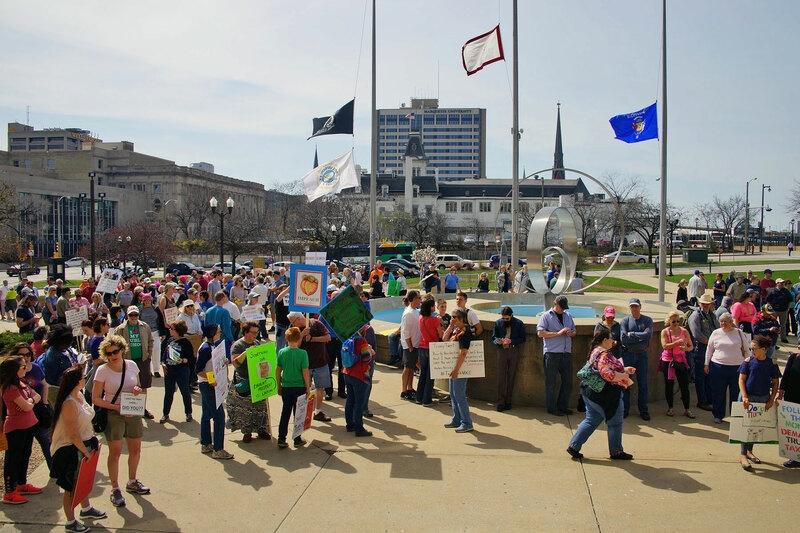 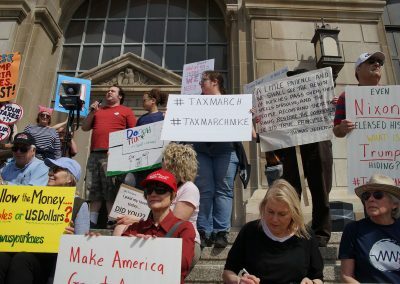 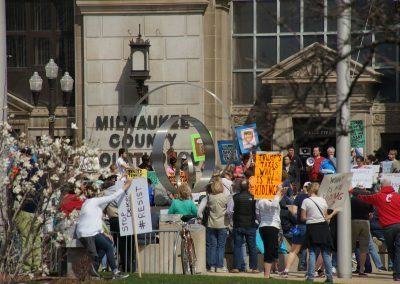 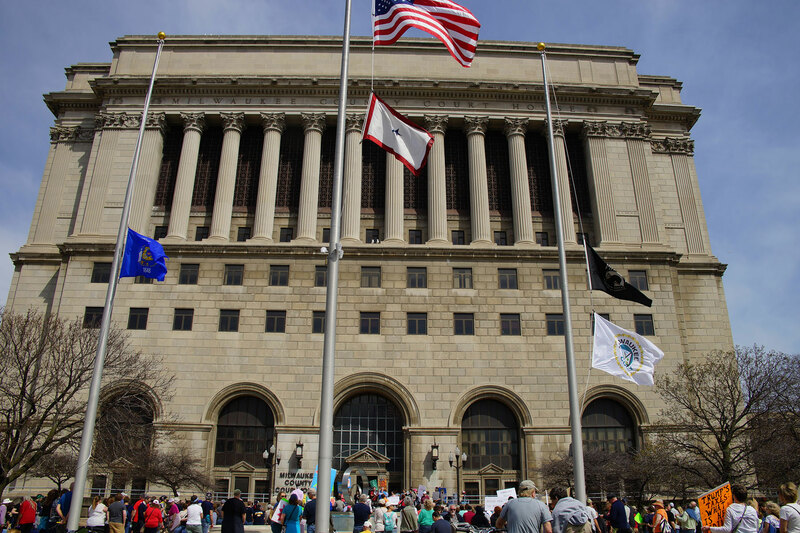 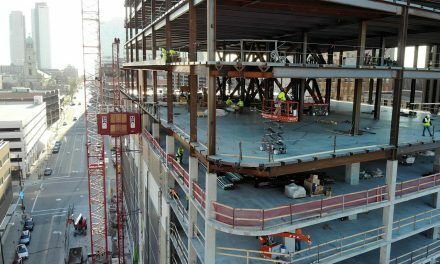 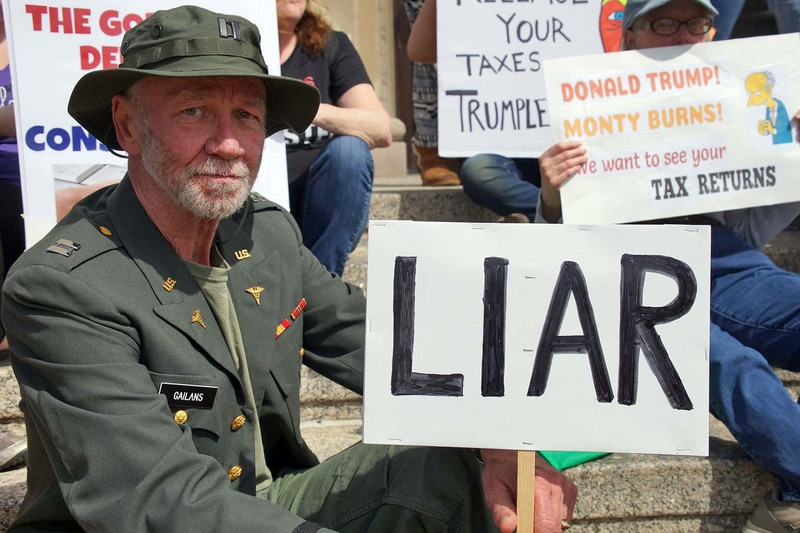 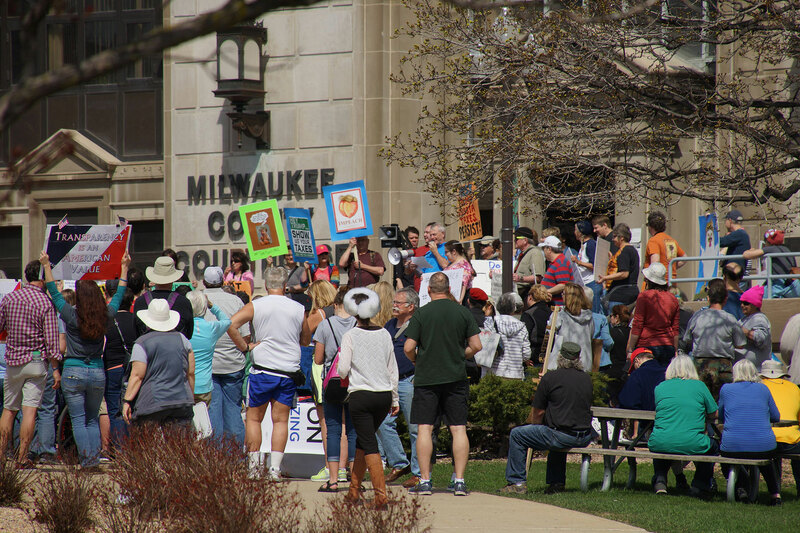 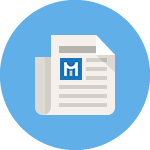 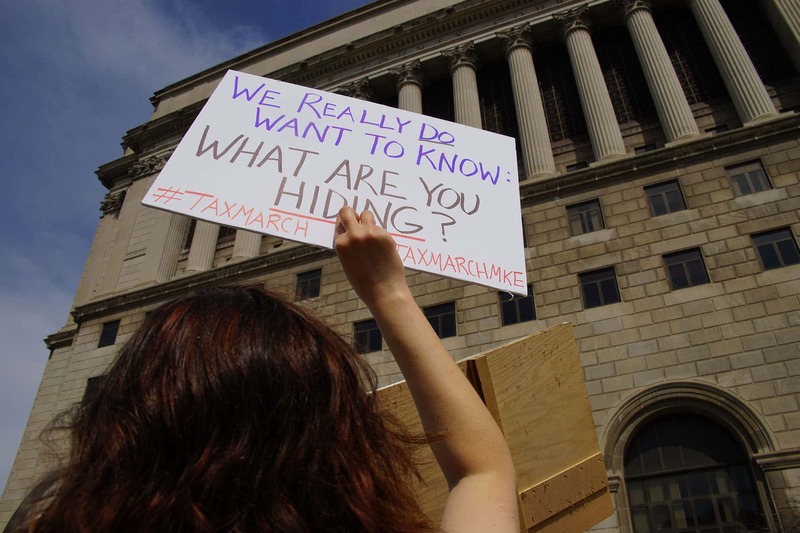 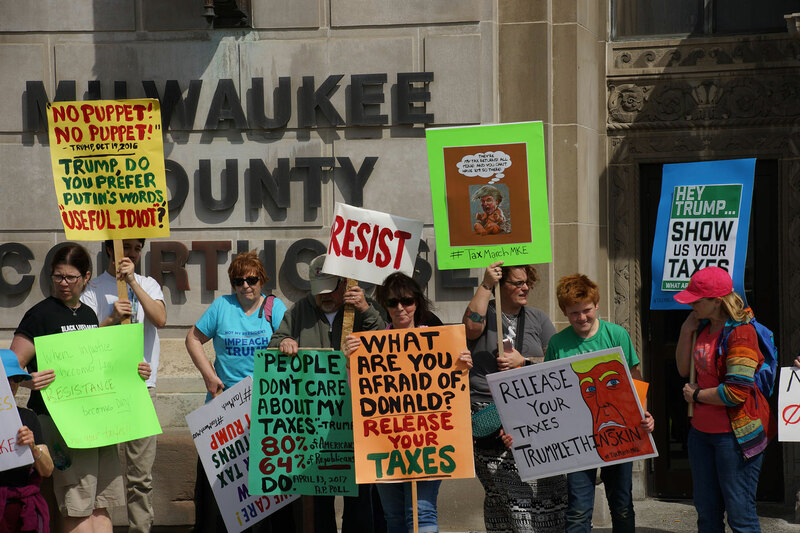 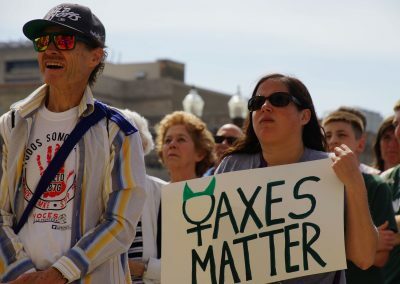 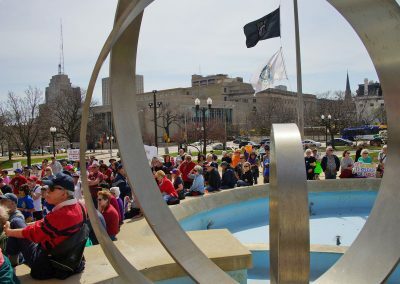 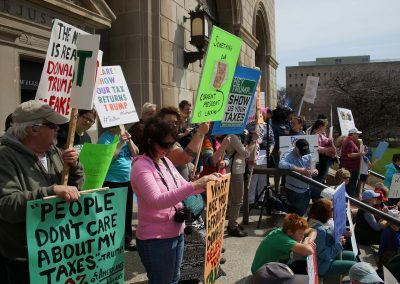 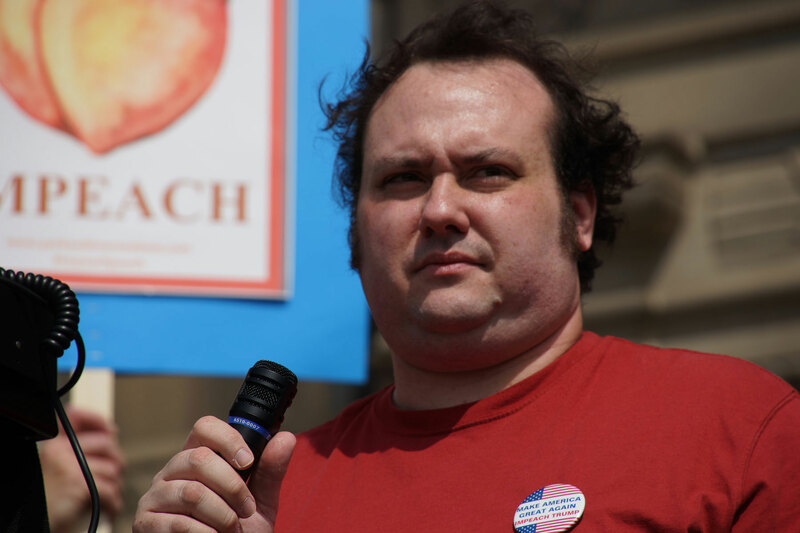 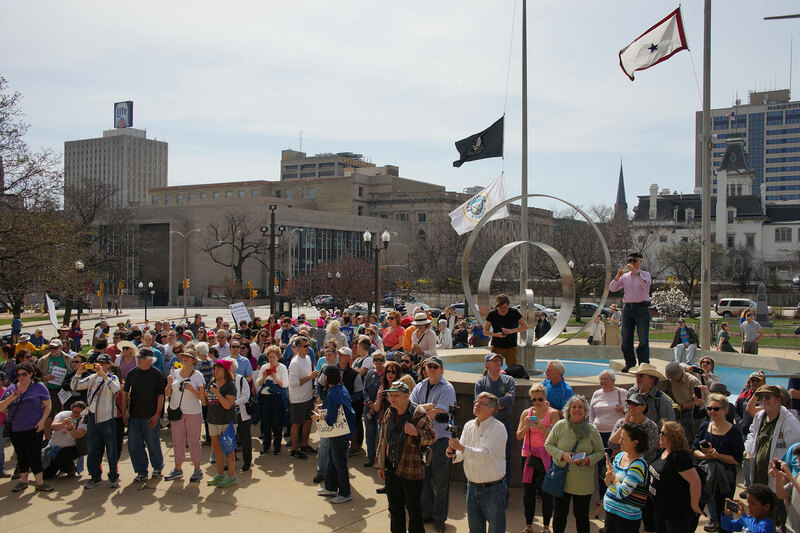 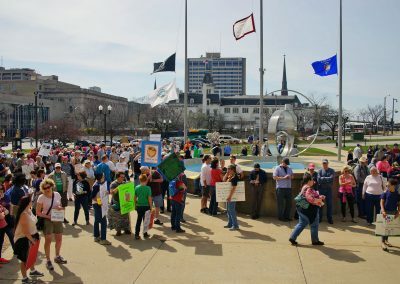 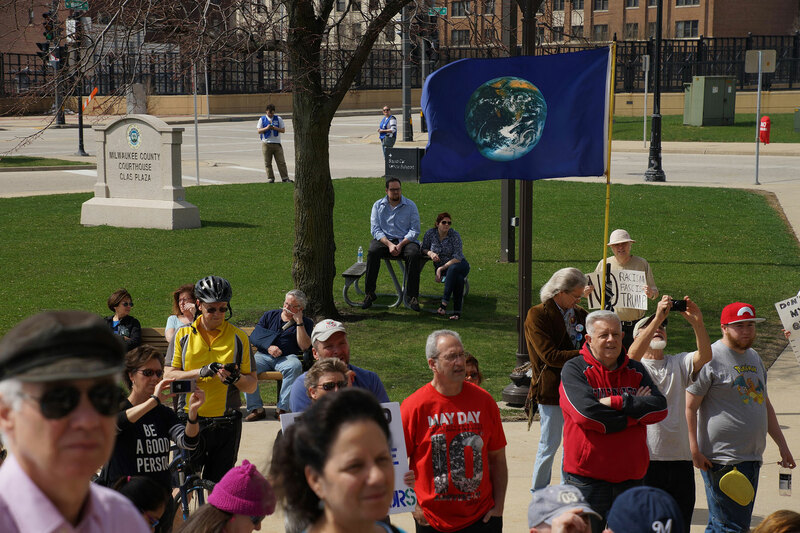 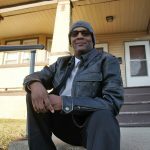 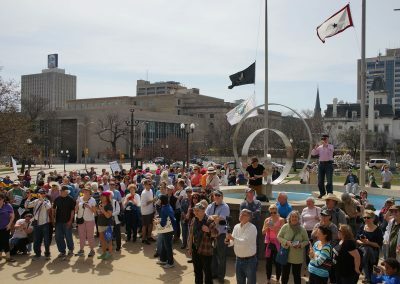 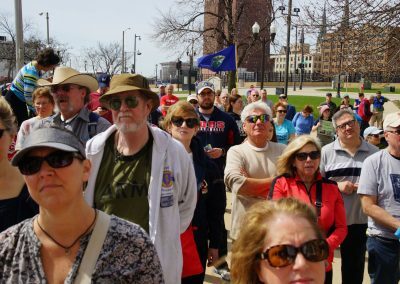 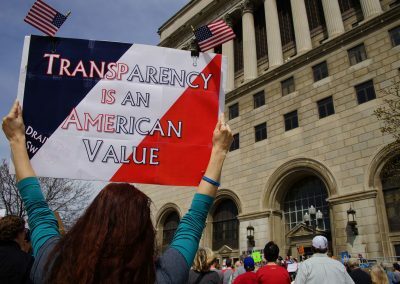 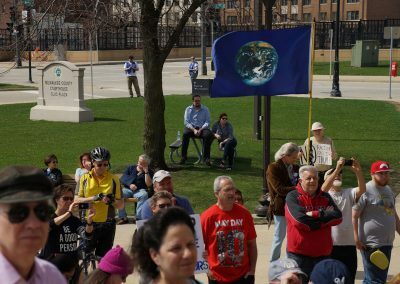 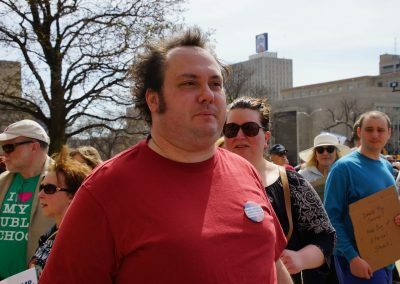 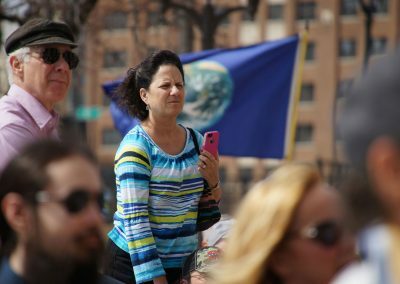 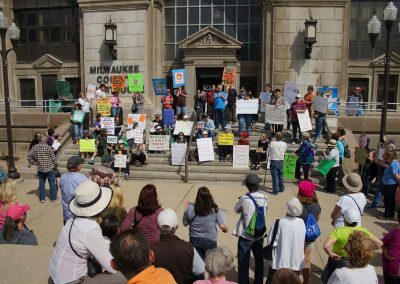 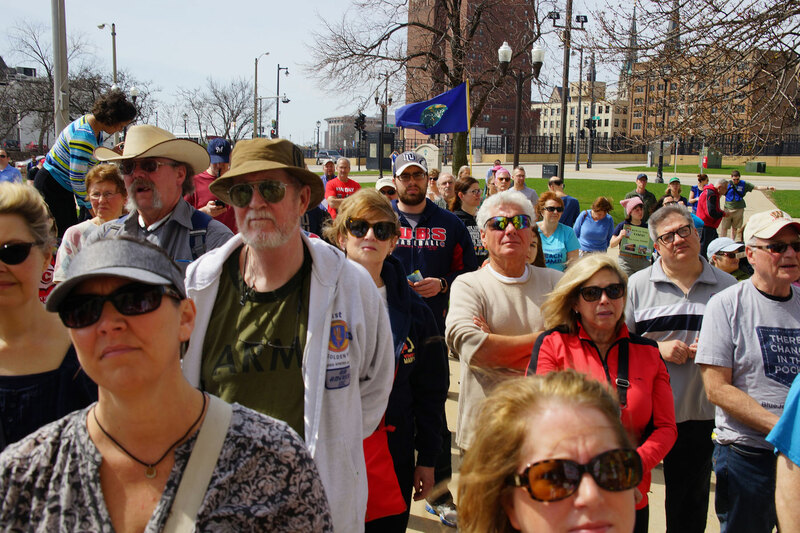 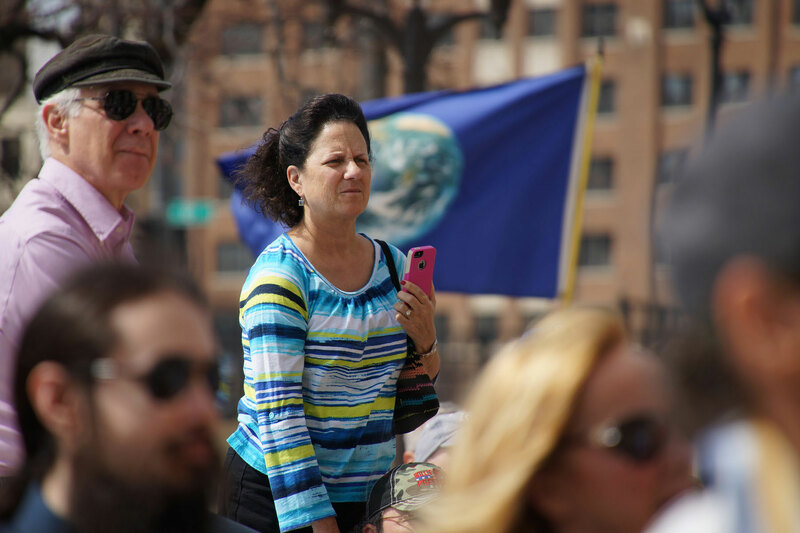 We the People of Milwaukee intend to hold him accountable in the name of transparency and good governance,” said Brian Eisold, rally organizer for the Milwaukee Tax Day. 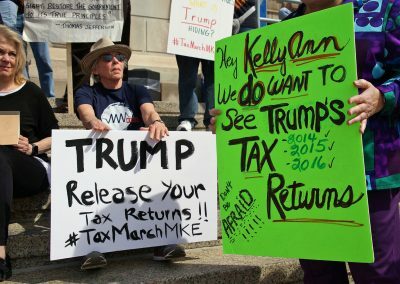 Donald Trump is the first Presidential office holder to refuse to release his tax returns to the public, since it became the expected standard over the past half a century. 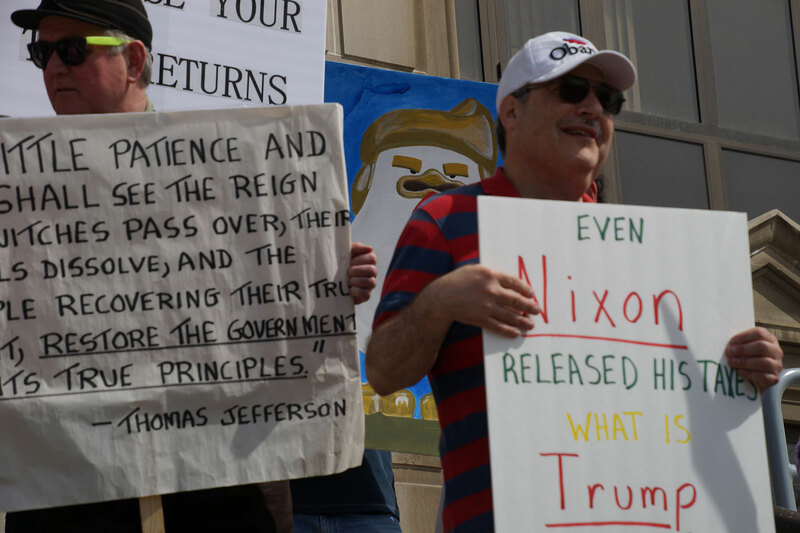 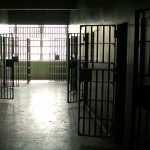 Marchers were demanding that he release his returns, as he has repeatedly promised during the campaign but has failed to do. 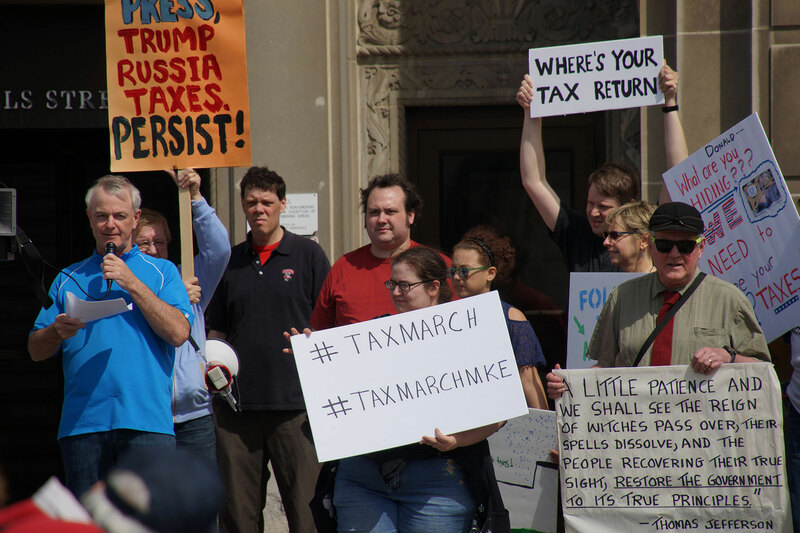 Marchers felt that the American people had a right to know what financial entanglements and conflicts of interest our leaders have, and particularly how Trump and his family are personally profiting from the policies and practices of the administration. 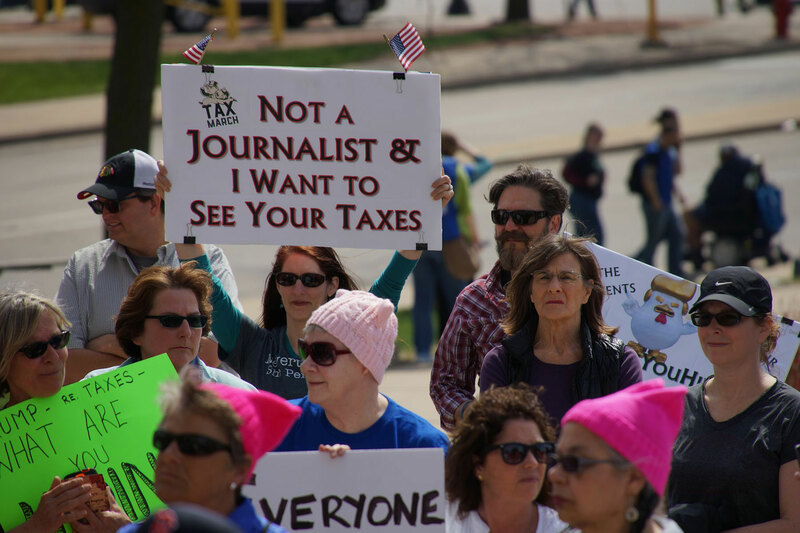 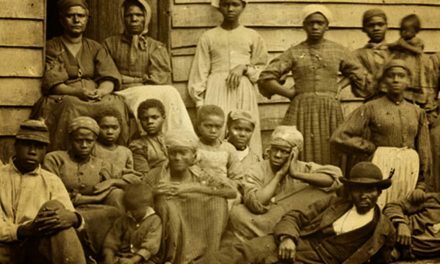 Because the traditional Tax Day for 2017 fell on a weekend, American citizens have until Tuesday, April 18 to file their tax returns this year. 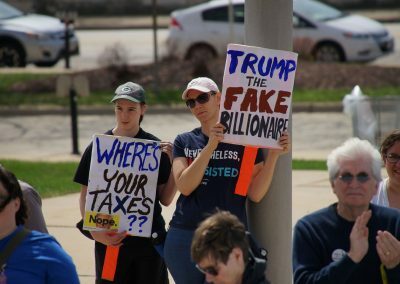 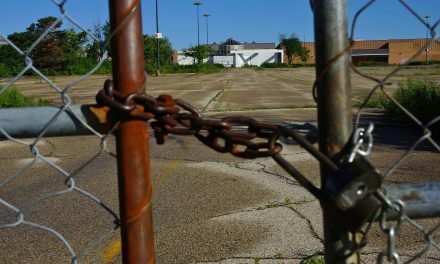 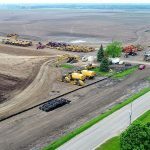 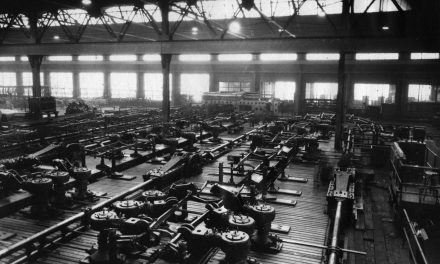 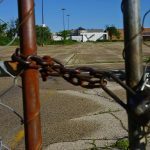 It was announced on Sunday, April 17 that Donald Trump would come to Kenosha, Wisconsin on April 18 to visit the Snap-On Tools Corporation. 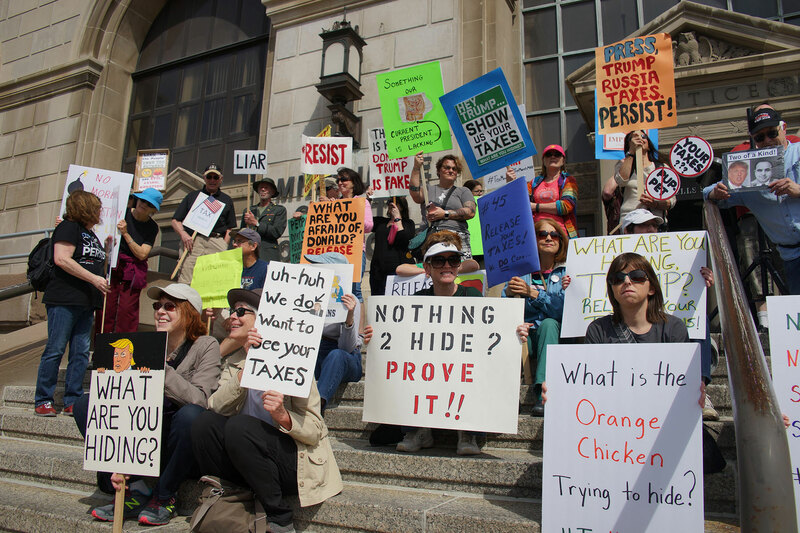 Area activists have been organizing a protest at that location to greet him. 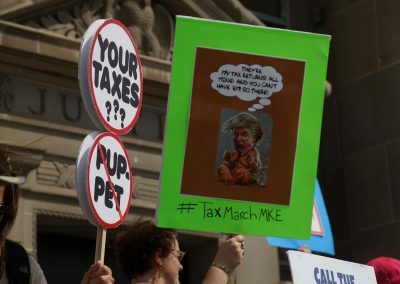 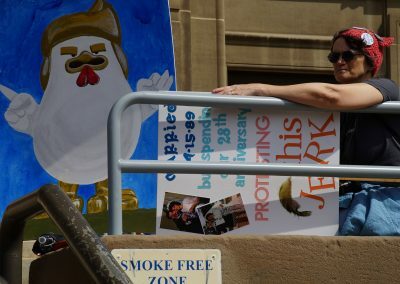 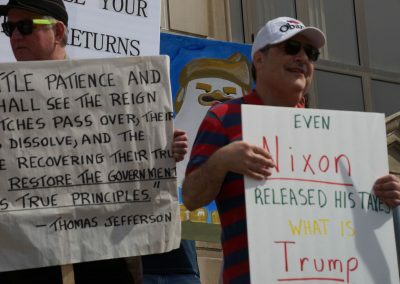 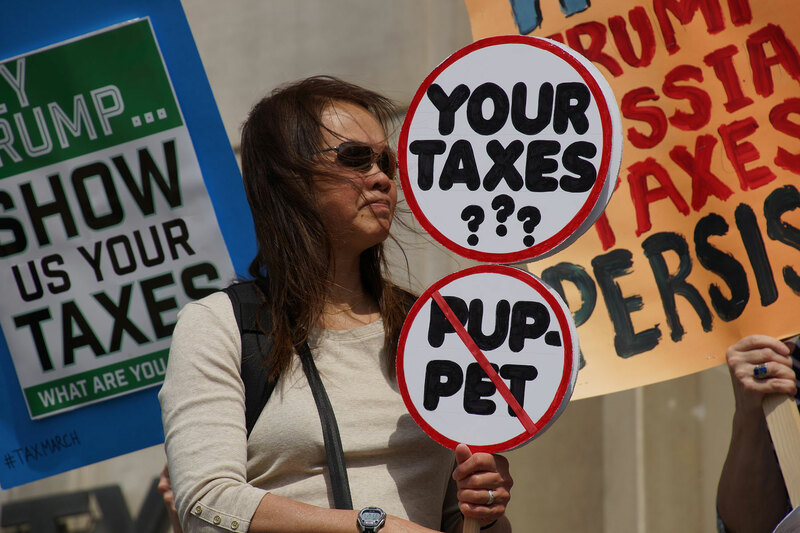 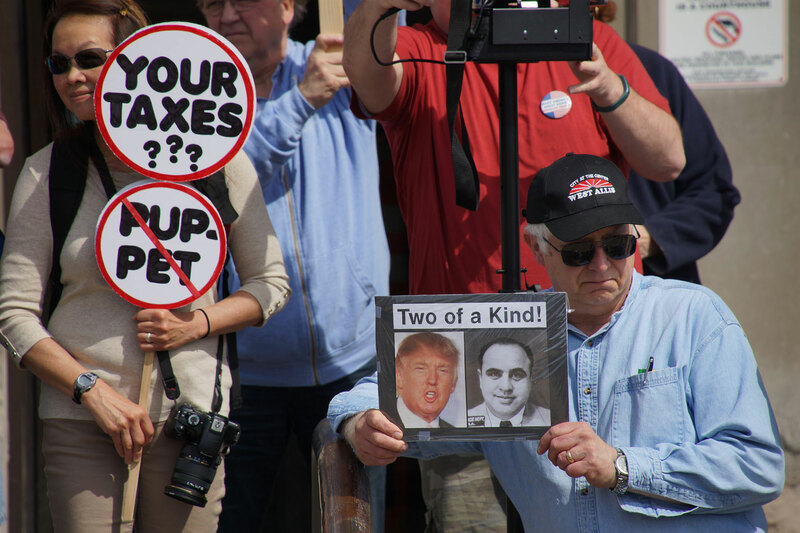 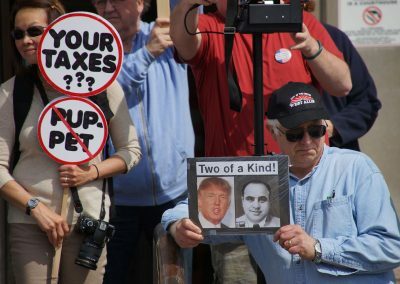 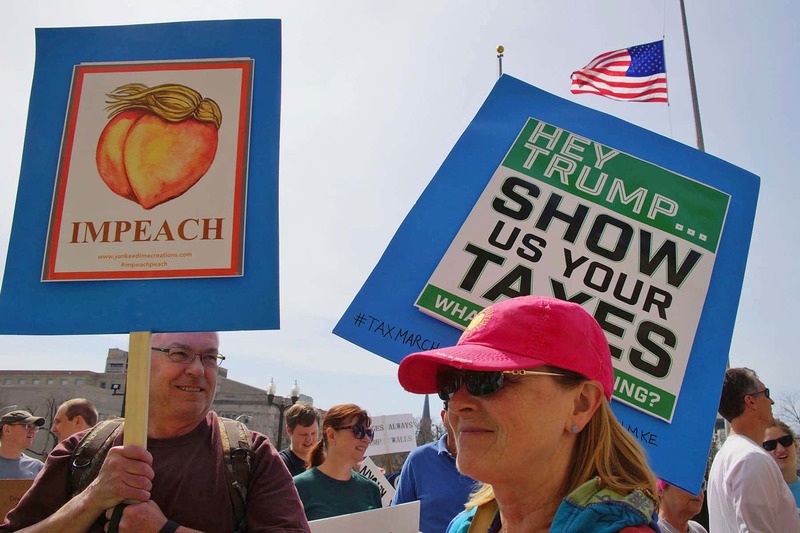 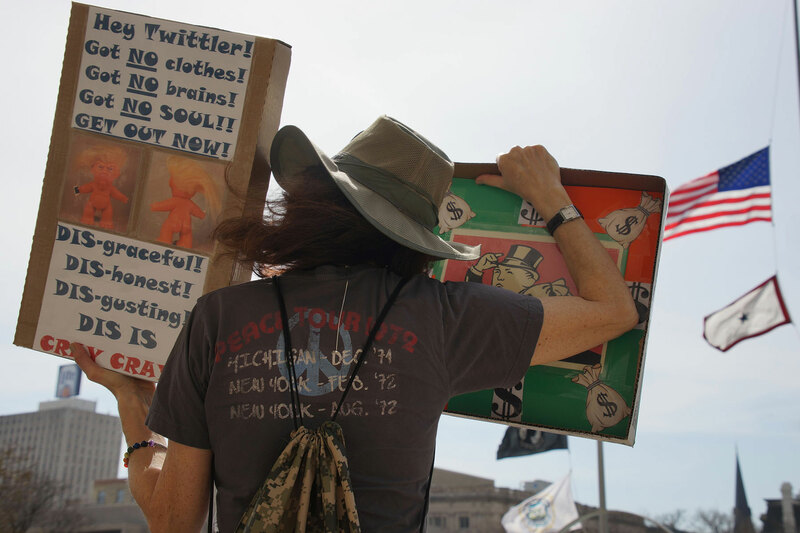 These images capture the signs on display at the pre-march rally of the Trump Tax Day protest.